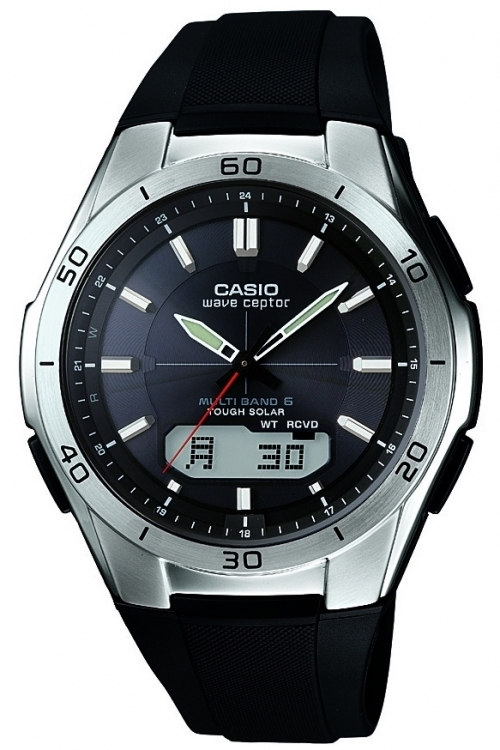 Casio Waveceptor WVA-M640-1AER is a super handsome Gents watch. Case material is Stainless Steel and the Black dial gives the watch that unique look. The features of the watch include (among others) a chronograph and date function as well as an alarm. This model has 100 metres water resistancy – it is suitable for swimming, but not high impact. We ship it with an original box and a guarantee from the manufacturer. 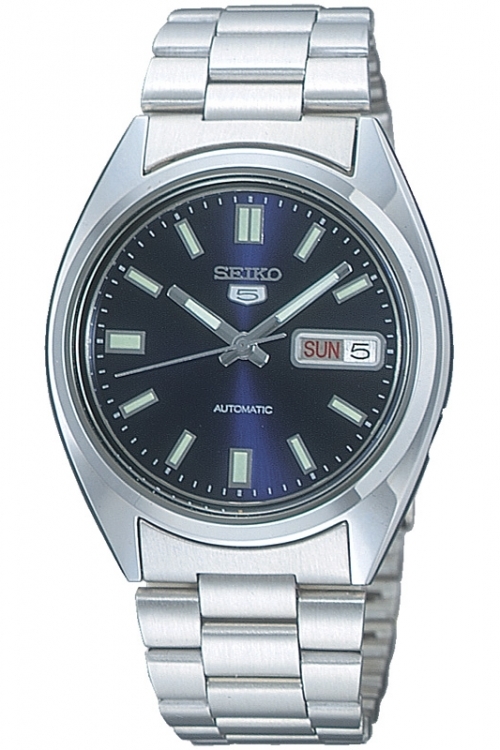 This quality Mens Seiko 5 Automatic model comes in high-shine stainless steel with a round case which is set around a blue dial with luminous batons. This watch features both day and date functions and high-visibility baton hour markers and hands. 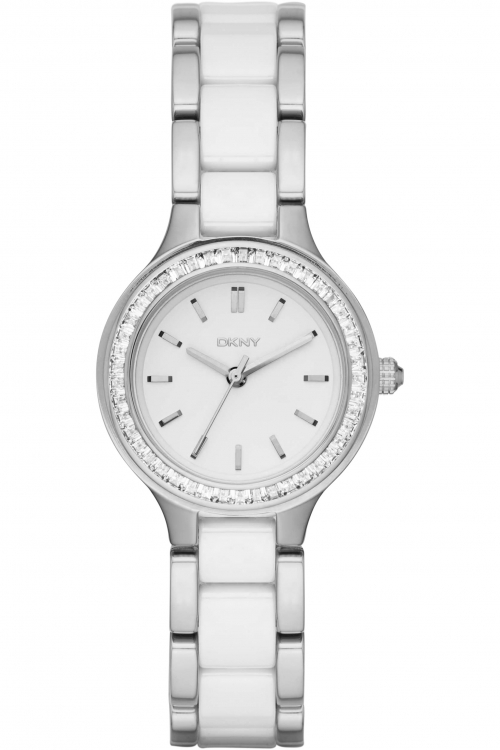 The watch is water-resistant and fastens with a silver classic bracelet. This watch has a see through exhibition case back and is powered by the iconic 7S26 Seiko automatic movement. A great price for a top quality timepiece! Classic digital design from Casio, in a blue plastic case. 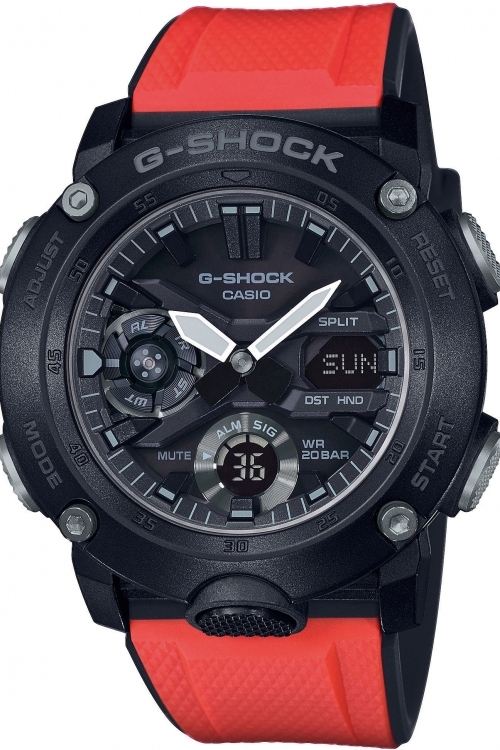 The watch has a quartz movement with date, 12/24 hour time display, illuminator backlight, chronograph and daily alarm. 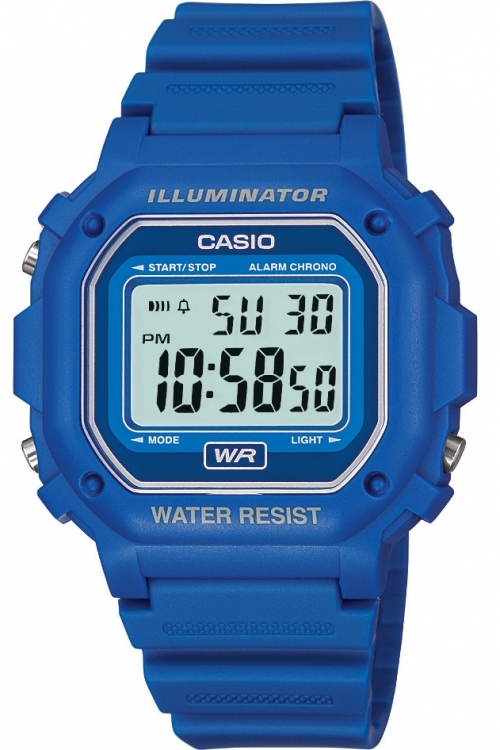 The watch is water resistant, and fastens on a blue rubber strap. 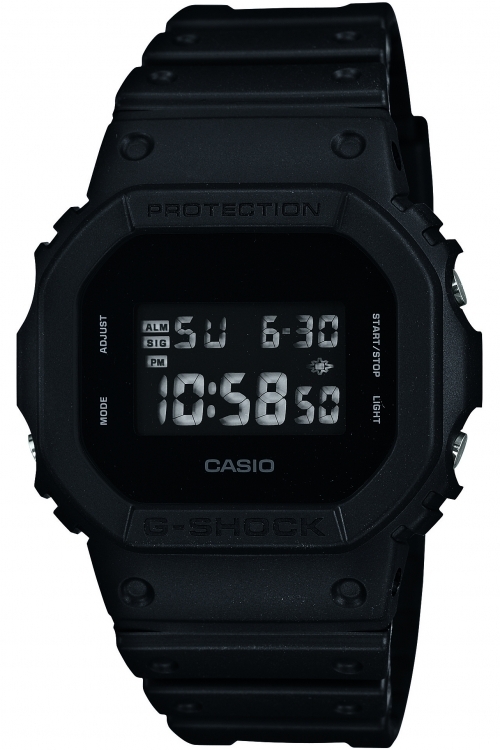 In a homage to the original G-SHOCK, the longest selling model now features a striking black on black theme on the case, band, fastener and digital face. Equipped with reliable functions that define the G-SHOCK brand today, DW-5600BB also includes an LED display flasher, Multi-function alarm and 200M Water Resistance. Keep it original and add this watch to your collection. 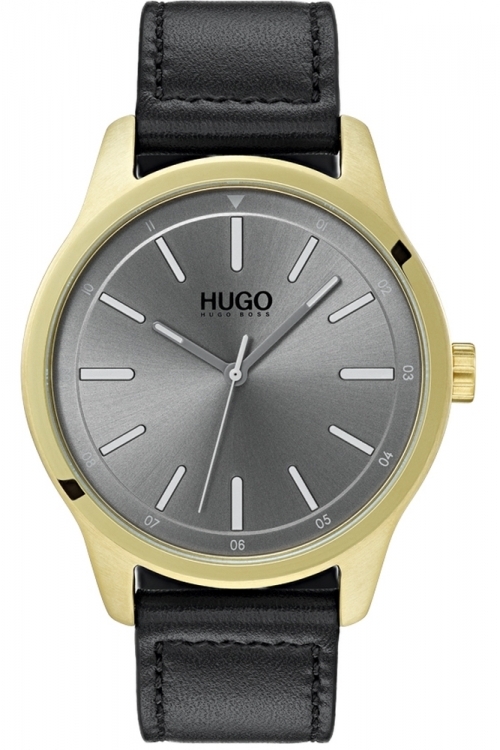 HUGO #Dare 1530019 is a functional and very impressive Gents watch from #DARE collection. Material of the case is Gold Ion-plated Steel while the dial colour is Grey. In regards to the water resistance, the watch has got a resistancy up to 30 metres. It means it can be worn in scenarios where it is likely to be splashed but not immersed in water. It can be worn while washing your hands and will be fine in rain. We ship it with an original box and a guarantee from the manufacturer. 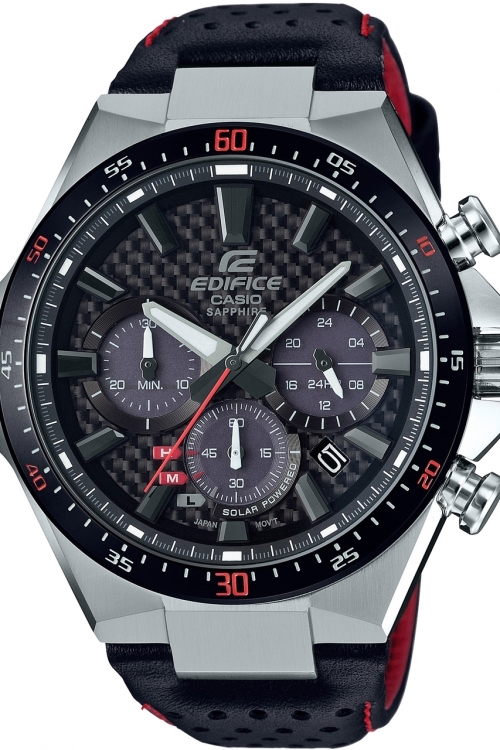 Casio Edifice EFS-S520CBL-1AUEF is a functional watch. Case is made out of Stainless Steel. This model has got 100 metres water resistancy – it is suitable for swimming, but not guaranteed to be resistant to jumping into the pool. The watch is shipped with an original box and a guarantee from the manufacturer. 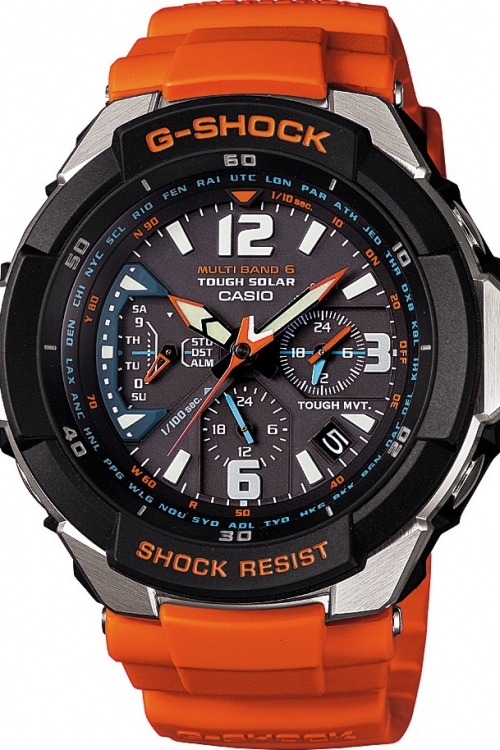 This eye-catching mens Casio G-Shock Gravity Defier model features a black dial and orange rubber strap. This model is specifically designed for pilots. 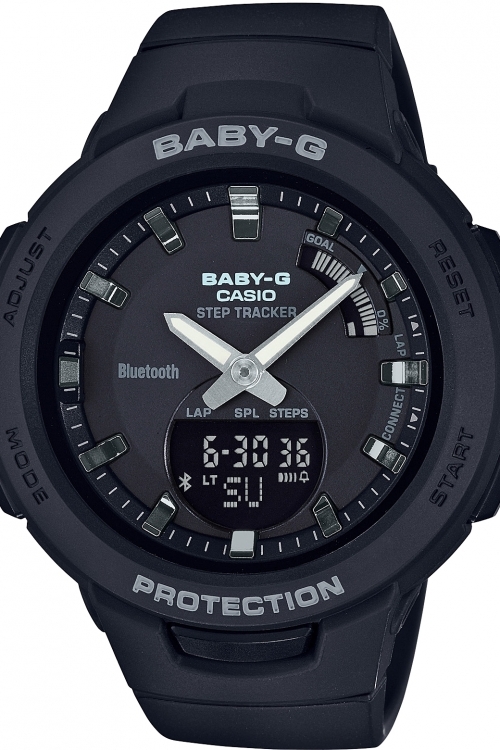 Features include a multi band 6 radio controlled, solar powered movement with world time, stopwatch, beeper alarm, shock resistance, 200 metre water resistancy, chronograph and date function.